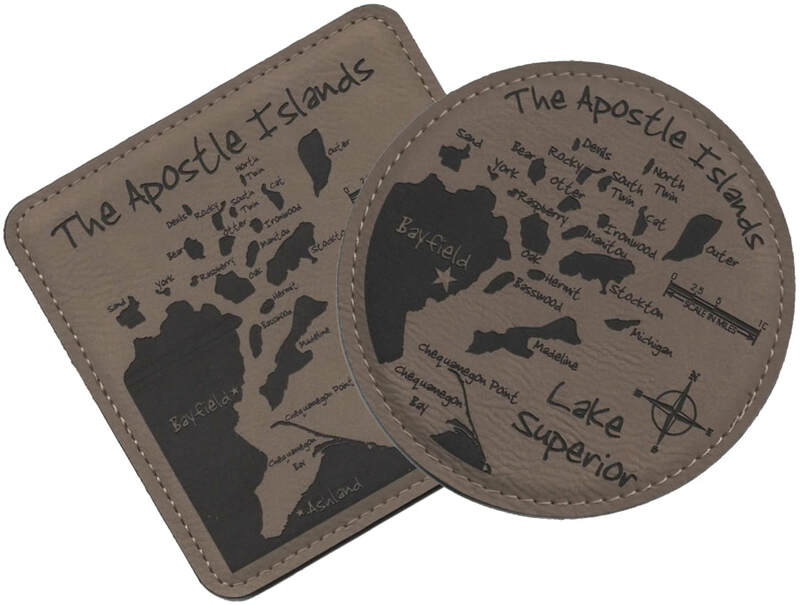 These attractive coasters have a simulated leather grain for an authentic look and feature a laser engraved image. The bottom material is non-slip synthetic suede. Leatherette is a synthetic material and is an extremely popular, durable option that's easy to clean by wiping with a cloth using watered down mild liquid dish soap followed by a dry cloth to remove any remaining moisture. 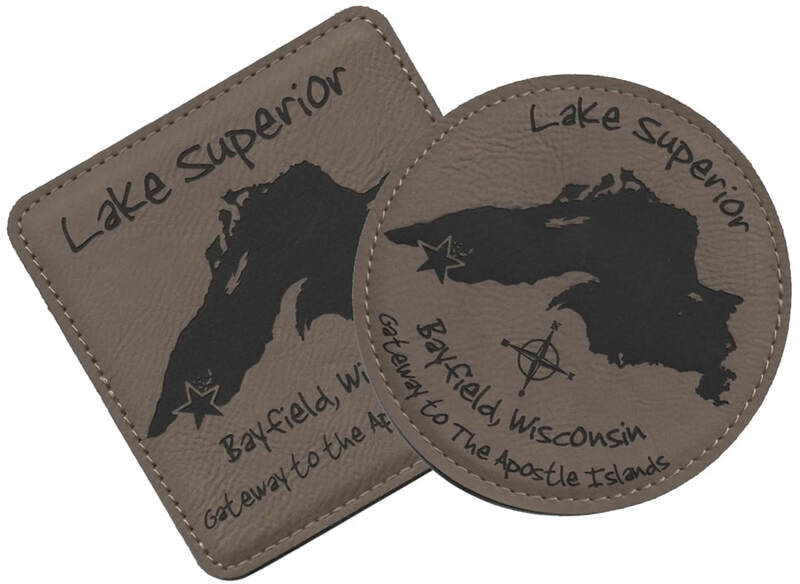 Choose Apostle Islands or Lake Superior, round or square. 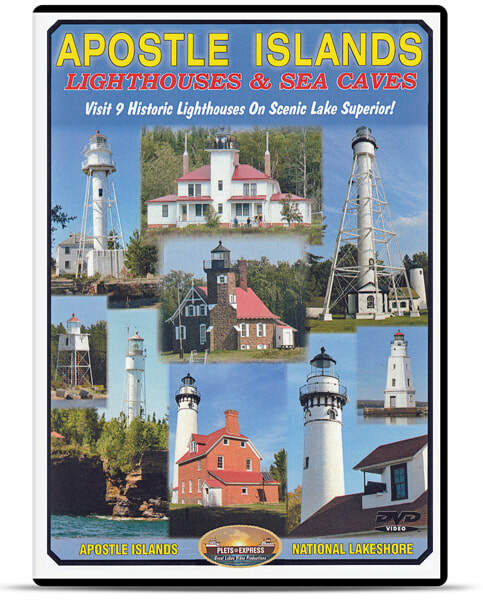 3 7/8" X 1/8"
​Apostle Islands Lighthouses & Sea Caves DVD - The beautiful scenery in this program was captured with both land hikes to the lighthouses and boat cruises by the islands and sea caves. 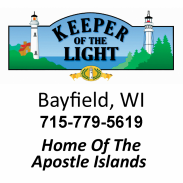 Today 21 of the 22 islands are part of the amazing Apostle Islands National Lakeshore.